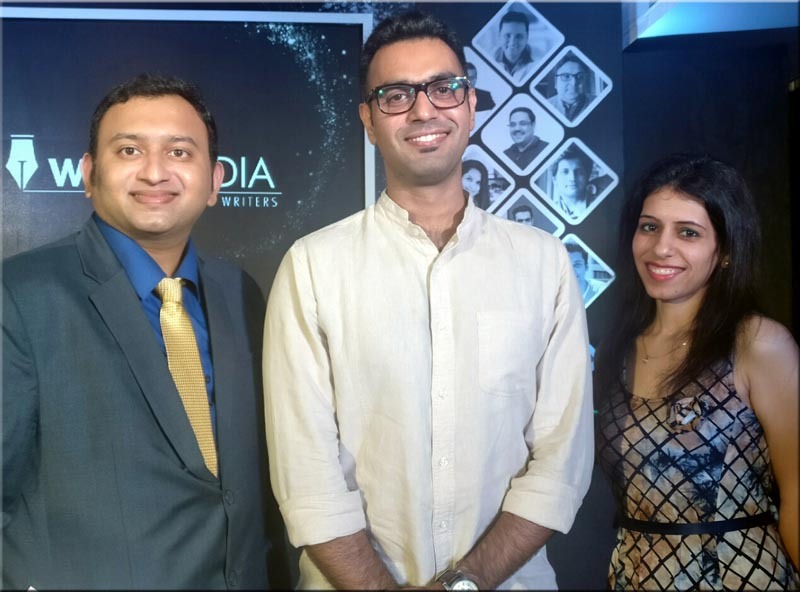 The extraordinary year long literary journey that began in India in 2015 is over. 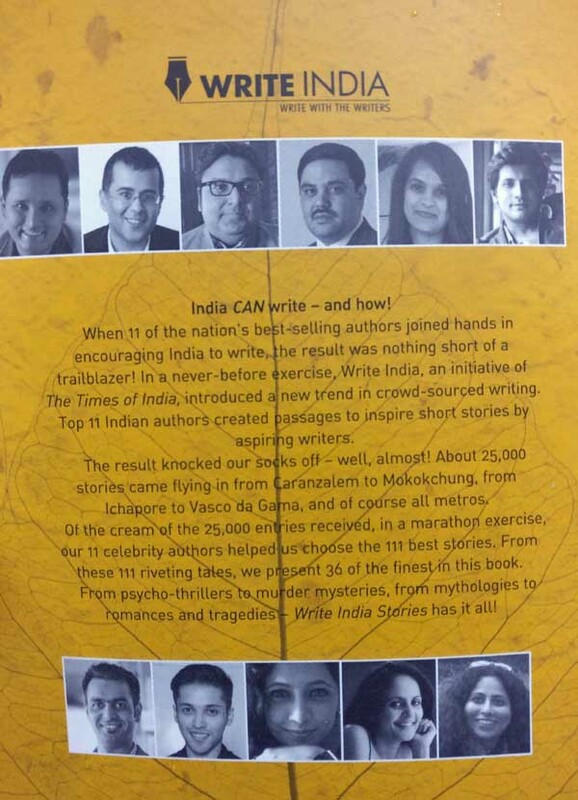 Write India Stories is now available online on Amazon as well as Flipkart. Write India started off as an idea, the root of which was the belief that there is no shortage of literary talent in India. Readers and authors across the world acknowledge the skill required to bring beauty to prose within a caged word-limit. The difficulty invariably is in selling a product with unknown faces, irrespective of their talent. 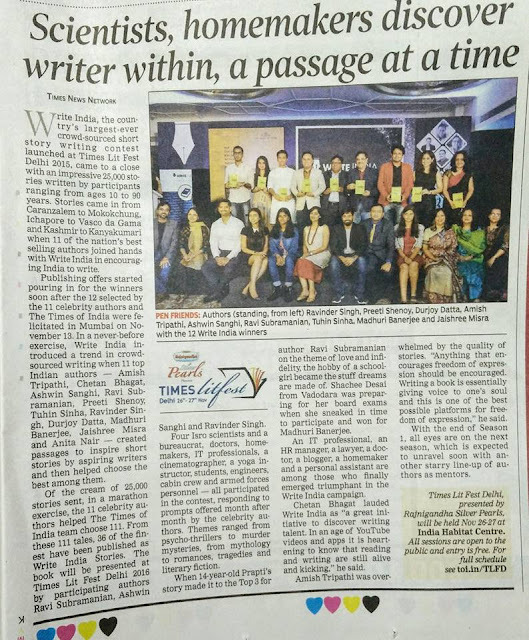 That is where the Times Group stepped up with an initiative unlike any seen before in the Indian literature industry. 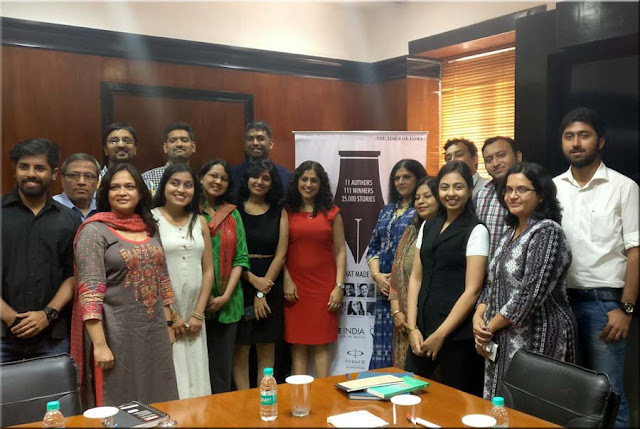 For the first time ever, 11 of India's bestselling fiction authors got together to be guides and judges for this huge event. Every month, one of the eleven authors would give out a paragraph as a prompt and ask the people of India to draw inspiration from that paragraph and write a short story. Can you imagine what that entails? 11 months of entries pouring in from all over the country with no restriction of age or any other bar; your talent was the only criteria. 11 authors who had sold more than 16 million books between them judged the entries for their individual months, whittling the number down from a few thousands to 3, including a winner for their month. 11 winners. I was the winner for the month of February. It would be pedestrian of me to blandly jot down the events of the book launch. 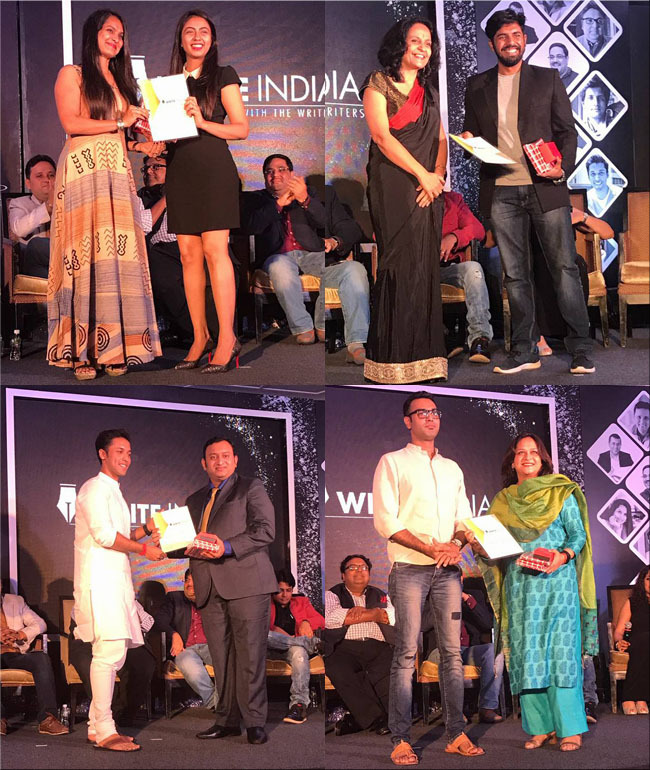 I think it is far better to share with you snippets and visuals from the weekend that was for the winners of Write India Season 1. 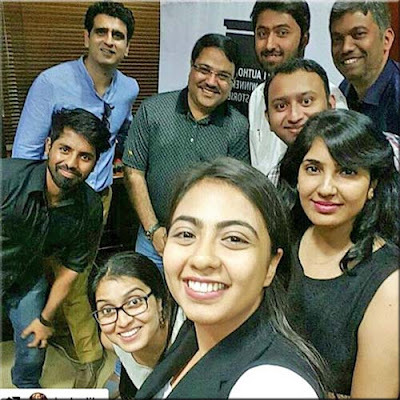 With all of us flown in from different parts of the country to Mumbai, our weekend began with the promised literary workshop at the Times of India office. Following a warm welcome and introduction by Vinita Nangia (Associate editor of The Times of India & the director of Write India), we were left in the able hands of Dipankar Mukherjee (founder of Readomania). 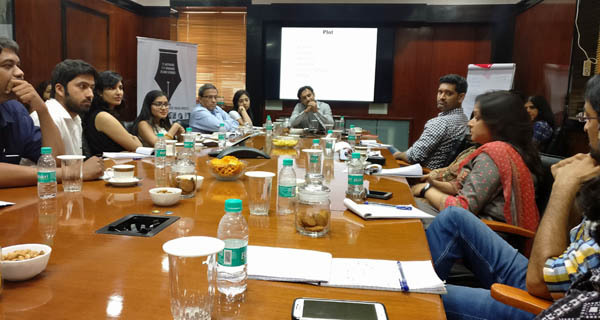 Dipankar helped us deconstruct the very art of storytelling, showing us the layers that go into the process and engaging us with many an interactive creative session so that we understood the nuances. And trust me, I do mean interactive creative sessions. If you have any doubts, you can ask the other winners about my quickly cooked-up mystery of 'a Thailand prostitute who wakes up on top of the Himalayas'! Madhuri Banerjee (author of the bestselling 'Losing My Virginity and Other Dumb Ideas' in addition to being a film writer, a columnist and presently in the television industry) was her vivacious self as she peppered her session on character development with plenty of examples, showing us how to flesh out our protagonists better. Taking a break from class for a group selfie. Kids, that's how winners do it! Now go do this in school too with your favourite teachers! Mahendra Jakhar (author, screenplay writer for Manjhi & Shagird) went the cavalier route, asking us to think outside the box instead of colouring within the expected lines of our story's genre. 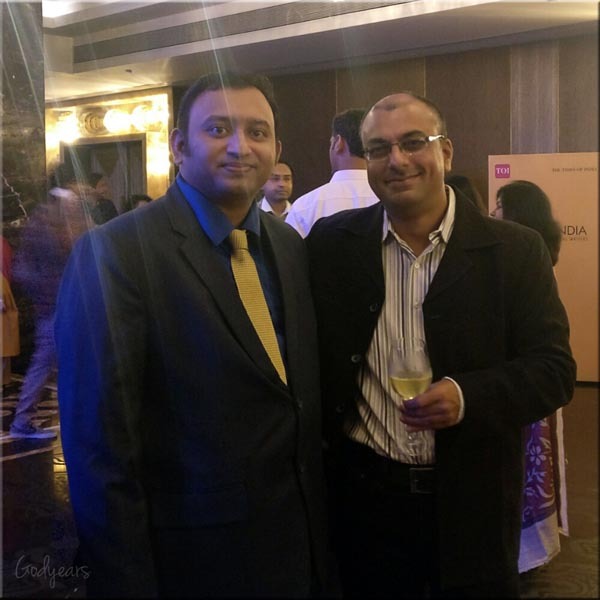 The icing on the cake was a wonderful session with best-selling author Ravi Subramanian. Honest, self-effacing and polite-to-a-fault, he regaled us with many a tale of the industry (and various author) secrets. We literally turned off the video camera at least half a dozen times just to get these juicy details from him! the winners Rohit, Shailesh, Nikhil, Kena Shree, Samah, Dr Kuheli & little ol' me. He was absolutely right, of course. 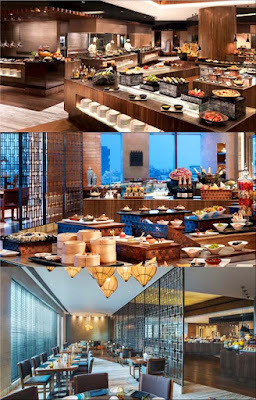 No expense was spared for this book launch right from our travel and accommodation and the wunderbar event itself to a final gala buffet dinner for all the winners along with the judges at the amazing Seven Kitchens restaurant. It is a giddy feeling to be in the same room as celebrities you adore, is it not? Now imagine having a dozen of them in the same room and they are all here to congratulate you. Yes, the surrealism of it takes awhile to sink in. We maybe doctors and experienced lawyers in real life but over there, we were initially giddy teenagers gawking and pointing as we saw each of the best selling authors walk in. It took awhile to get used to the idea that they were here for our book launch. With no starry airs, we had a wonderful time interacting with them individually. who looks like a well-fed potato. Durjoy Datta knows this dictum well. 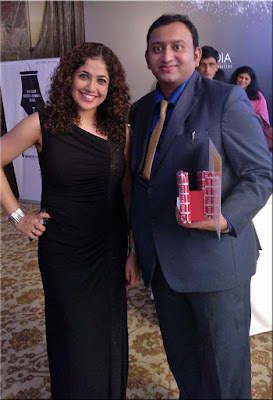 Eight years ago, I attended the launch of Preeti Shenoy's first book in Pune. 'taking her first steps to being a famous author' back in 2008 did come true! One of the biggest 'blogger turned author' success stories ever, if you ask me. 'Love Stories That Touched My Heart'. Today, we finally got to meet him! whose entire set of fiction I have reviewed at the blog. 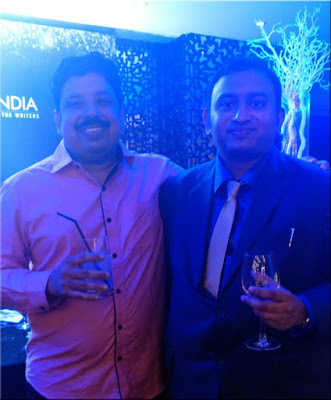 With author Anand Neelakantan (Asura, the Bahubali trilogy). It is a coincidence that the lighting makes me look like an Asura, I swear! What became obvious fairly quickly was that these celebrity authors were friends in real life. The quick wit that marks their prose was on hand too, whether it was in response to queries or simply pulling each others legs at any given opportunity. Ravi Subramanian: Mera number kab aayega? 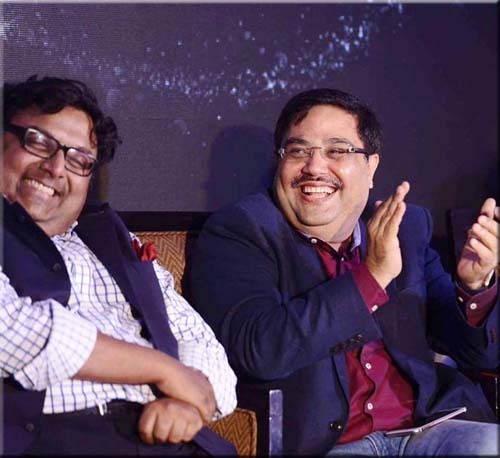 Ashwin Sanghi: Bas do minute aur. Courtesy Vinita Nangia and the judges, we got to hear so many interesting anecdotes about the event and what went on behind the scenes. 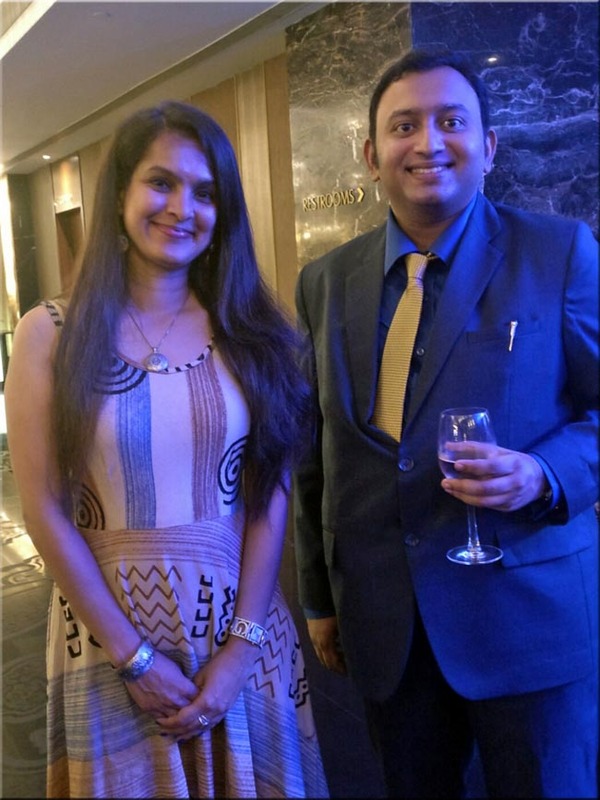 We got to hear of Vinita's resolve to fight for the 'short story' and bring it back into the limelight, proving wrong the naysayers in the publishing industry who felt the genre was dying. Ashwin Sanghi had the audience in splits as he told us his secret to being a good fiction writer - being a good liar as a child! Ravi Subramanian had to explain to us all why he chose a prompt of infidelity when he was a judge. His answer? Mid-life crisis! There were some interesting observations too. The oldest entry for the contest came from a 90 year old man and it was a tale of second chances and looking back. 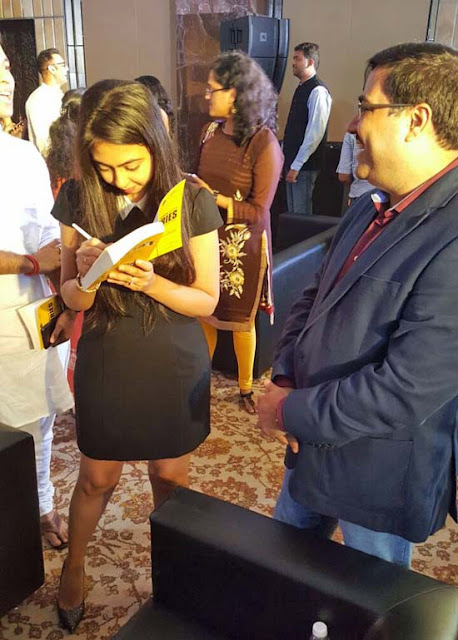 The youngest winner, Prapti Panda was 14 years when she wrote such an amazingly mature tale on infidelity. You can watch the live streaming of the unveiling of the book here at TOI Books. After the felicitation by the authors, Nainesh's winning story 'Palwasha's Revenge' was portrayed on stage in a brilliant one-woman play by Swati Das. Gut-wrenching, harrowing and yet uplifting, it left us all stunned. We were doctors and engineers, lawyers and students. We were giving our board exams and had university exams the day before we sent the story. We were as young as 14 and as old as my balding head. We were as diverse a set of people as you could imagine, spanning three generations. We beat out 25,000 entries to be the top 11. We were 'the Top 0.044% of all entries'. In the years to come, there will be other winners. We know that. There will be better stories too. 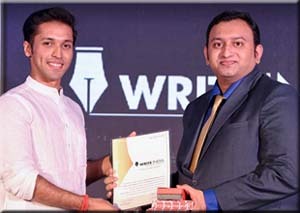 But you can never take this tag away from us - Winners of the First Season of Write India, the largest crowd-sourced writing competition ever held in the country. 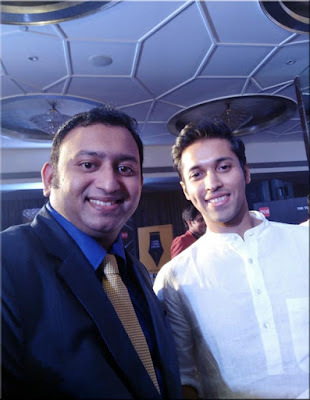 Durjoy Datta with his winner, me! patiently going up to each of the winners and getting their autographs in his copy of the book. 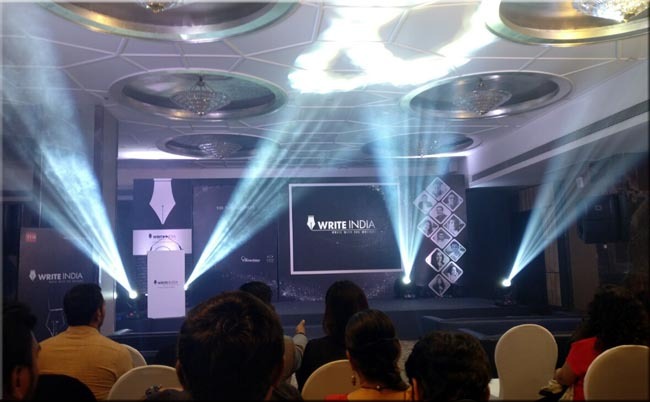 To say that the Write India event was unlike any other writing contest ever held in India sounds like a blatant exaggeration but consider the facts. When has there ever been a year long short story contest held in India, featuring 11 National best selling authors as judges? When was the last time you had 11 authors who together have written millions of words and sold over 13 million copies of their books, flying down from different parts of the country and applauding you for your 2500 words of prose? 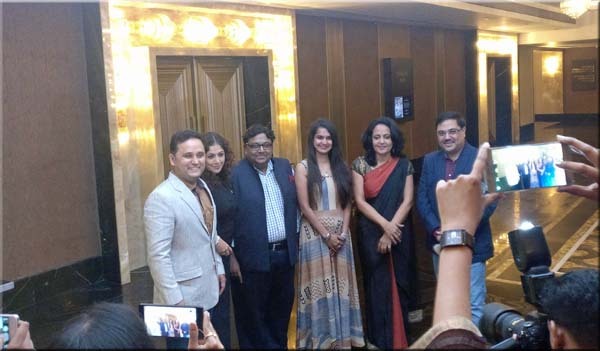 This does not happen even for book launches of full fledged novels. When has a short story book launch received this kind of fanfare and publicity with support from a globally recognizable media house? I have been lucky enough to be a part of more than a dozen short story collections prior to this, including anthologies from the top 3 publishing houses of the country. I have attended 3 book launches in 3 different major cities as a co-author over the years. 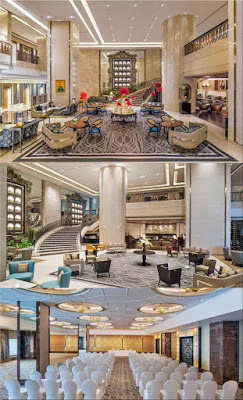 So trust me when I tell you this, no short story collection in India has received the kind of media attention and grandeur that greeted us at the starry St Regis. Keep an eye out. Season 2 is coming. I know some of the shortlisted judges but won't be telling you until the official announcements. Trust me, your skills are going to be put to the test. But then, the reward is worth it. In the end, the simple fact is that you are never - I repeat, never - going to get an opportunity like this in your lifetime. 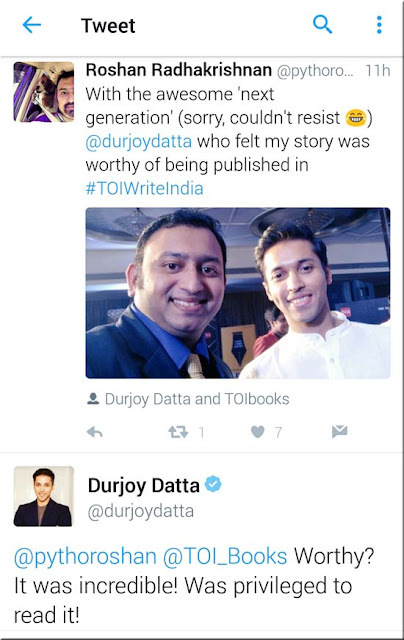 This is the American Idol & Masterchef Australia of the Indian writing universe. One single short story can catapult you into the limelight. Understand the scale of this event. The 2016 edition of the coveted Commonwealth short story contest had 4000 entries sent in over 2 months from 5 continents. 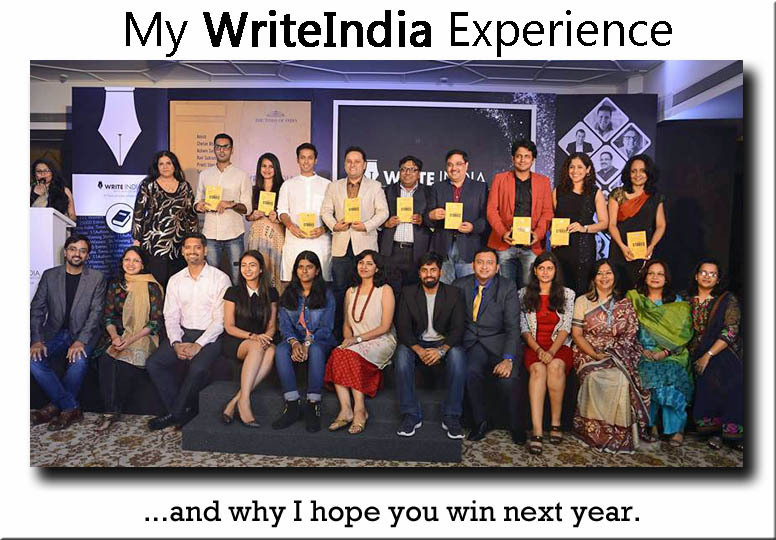 In comparison, Write India was a contest that lasted an entire year. You had a chance to write 11 times over the year. And in the end, a colossal 25,000 entries came in. 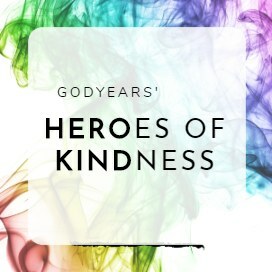 The final product consists of the best 36 stories curated from this list of 25,000 stories. Meticulous editing and attention to detail has been the key, delaying the launch until everything was in place. A huge shoutout to the team behind the scenes - Gunjan, Surabhi & Kalpana who made it all happen. 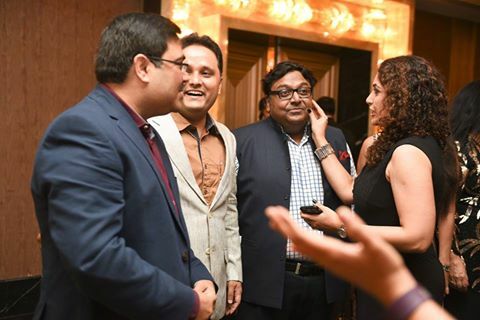 I don't know about the others but I drove Gunjan mad prior to the launch with my endless queries! The fact that she didn't lace my wine with laxatives is a true testament to her forgiving nature. In the book, you get to see the original passage by the judge before turning the page and finding out how the top 3 entries took the prompt forward in their own unique styles. The very same prompt that elicited a poignant tale in one author brought out an energizing thriller in another. This is not 'just another short story' collection. Only the top 0.1 % made it into the book. Think of that. I hope you do participate. And I hope you win. Because winning this will open publishing doors for you that no other short story you ever write could. This is our moment, framed forever in history. You can catch all the official pictures and videos of the book launch here at TOI Books. The book can be bought here on Amazon and Kindle besides being available in book stores across the country. And definitely, dreams come true. So keep dreams and then keep using every opportunity you get to make it a reality. But you know what - I couldn't go away without congratulating you and all those other worthy winners! Glad you had a fabulous time and well done, once again! Hehe... thanks Man. Yes, I know the history but well, I can't fault the final product or the event. They truly excelled there. Congrats Doc! I know what this win and this event means to you and I am so glad that it was so much better than you hoped it would be. Congrats once again. Thanks Jai.. yes, this comes as a breath of fresh air in a very uneven year - easily the best event of the year for me. I am still laughing at all your captions... You are hilarious. Congratulations doctor... You deserve this... Having read your stories and posts I don't even have doubt that you will be there for season2 as well. The venue looks out of this world. 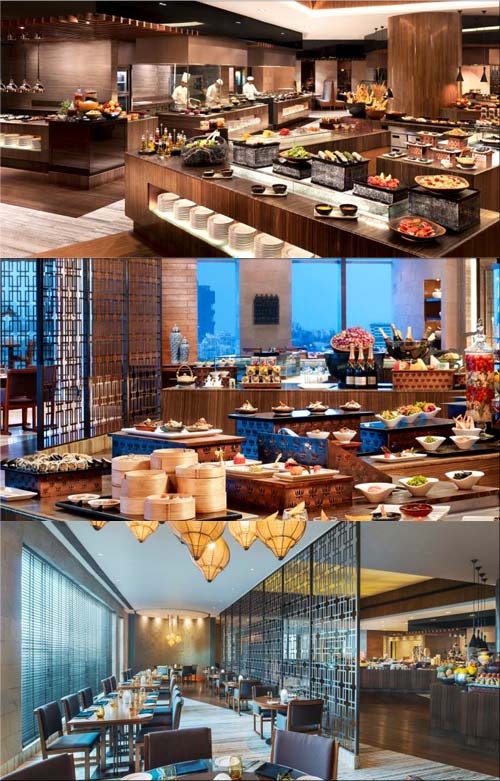 If i was there I too would have had a plate of everything. Loved how all the authors mingled with each other. Really enjoyed reading about the book launch. I have been a part of a few book launches in the past and they were pretty good. But surely nothing came close to this in terms of pure lavishness and the scale of the event. And that is why I want more authors to do their best in this contest next season. Hearty congratulations, Roshan! And what an A.M.A.Z.I.N.G. experience and workshop you have had. Great going Doc!! Thanks Shilpa... it truly was an ah-mah-zing event. Enjoyed it to the core. Congratulations Roshan! Though I have not read much of your writing, I am glad to know that you won and are classed among the top of Indian writers. Loved reading this whole experience of your workshop. 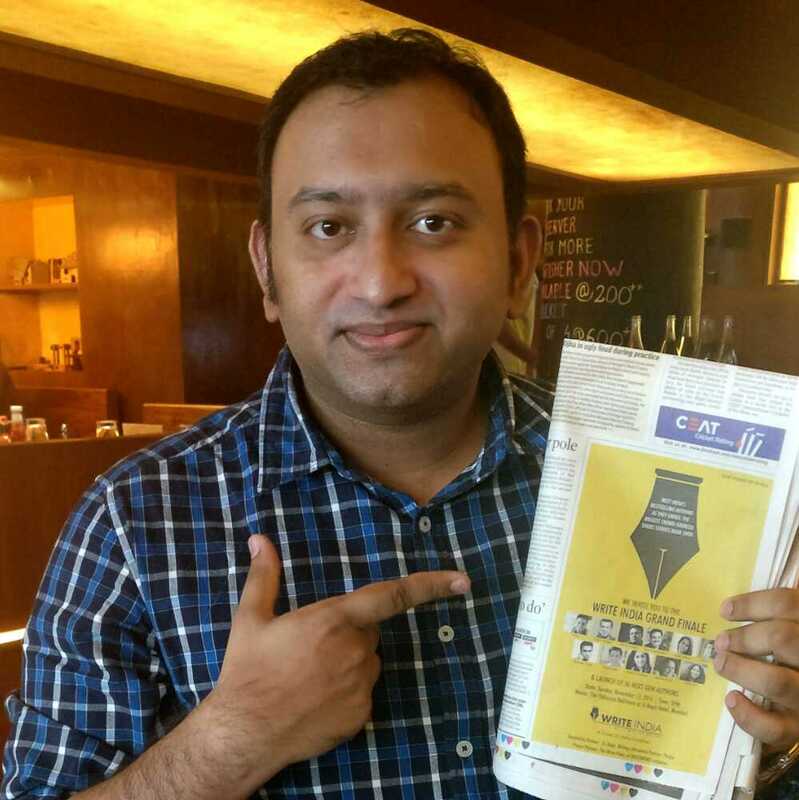 Wonderful initiative by TOI and my hearty congratulations to you. 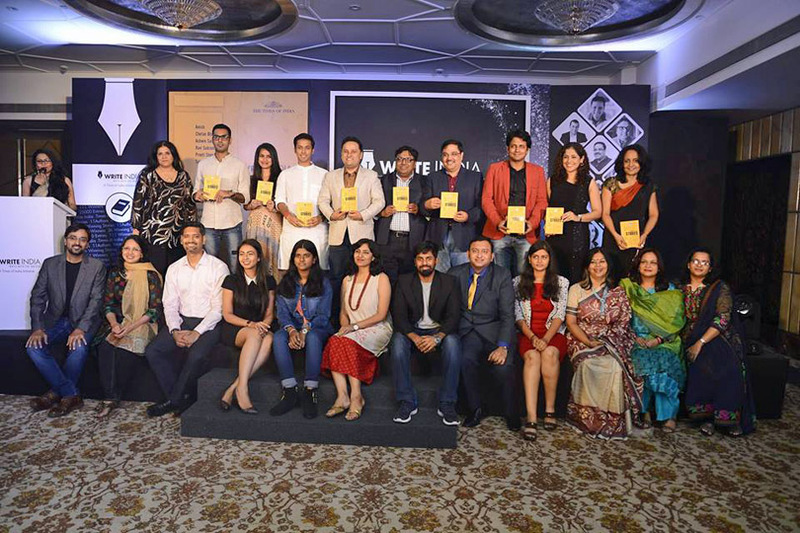 The jury is great and it's grear that the book launch event included some great authors of best sellers in India. 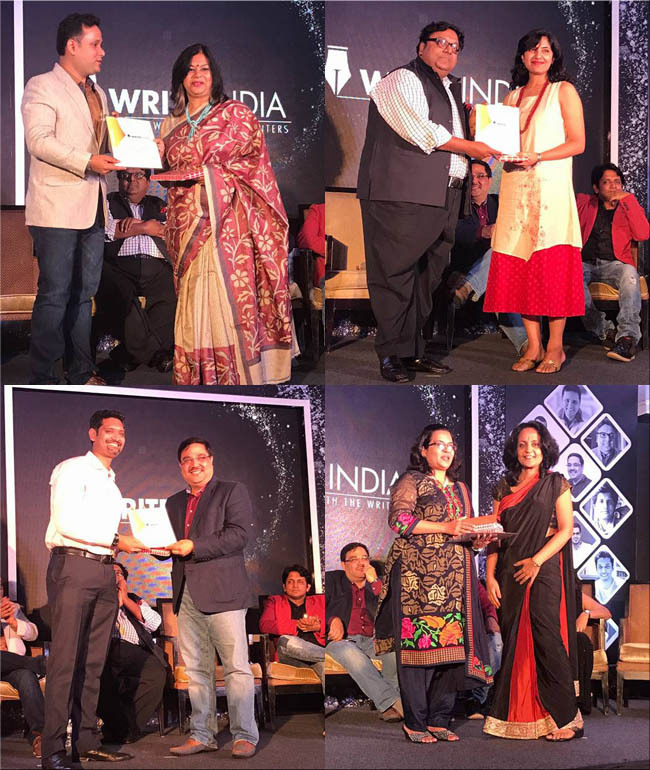 Congrats for being part of and winning at Write India and brushing shoulders with the best, learning, unlearning and honing your craft. The journey continues... let's see what is the next mountain to climb. Fantastic, Roshan! You are an amazing writer--so well deserved! You are obviously destined for greatness! Next time we meet I must get your autograph! Thanks Vidya :) Autograph depends on how much food you let me steal from your plate! Wow! That looks so grand and I remember seeing the advert. Also, the tweet when you shared. Your win is very well deserved. The way you write, you had to get this Roshan. 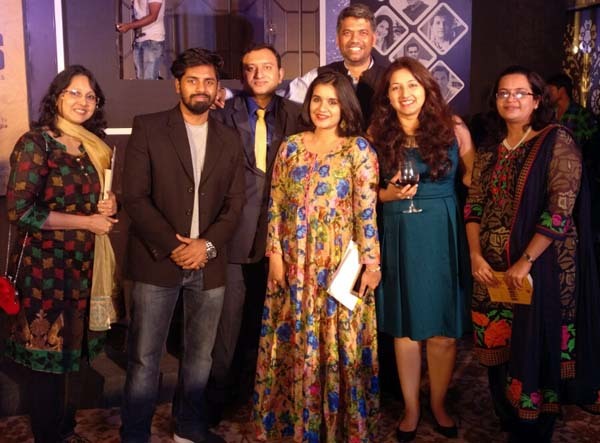 The pictures from the event are so cool and true that so many authors at one place is indeed a rarity. It really is rare to get a set of authors like this together, even for literary fests. That's why I am so stoked - a lot of effort went behind this project. Thanks :) The book has actually already sold out its first print within the first fortnight of its release and is now going in for a reprint. I have shared the link at this post for buying it from Amazon. Wow! That was amazing to read through, Doc. 0.1% made it to the book...unbelievable. I think its both a motivator and a reality check for amateurs like I who want to get published one day. Also, kudos to your year long commitment, considering you are NOT a full time author. Hearty Congratulations, Doc! You are simply the best! It's really good to know about such events happening here to give such level of exposure to writers and hearty congratulations for your winning :)...way to go!! Thanks Swati. Season 2 is coming up soon. Please do consider trying out. Hehe.. ironically my story is a serious one! Absolutely loved reading about your experience. 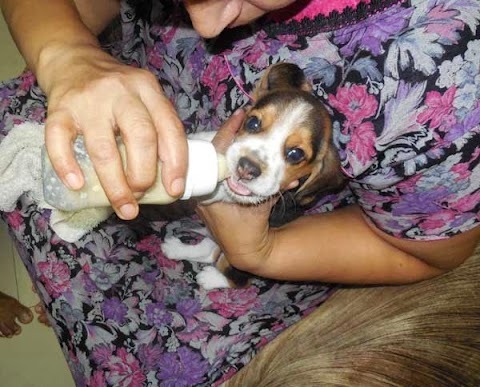 I wrote one story for this contest as well and vow to write 11 in the next year!! Winning or losing is just not the point - I felt like I was a part of this any way! This would have been absolutely surreal - so many fabulous authors together. 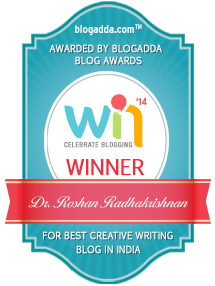 Congratulations again Roshan.